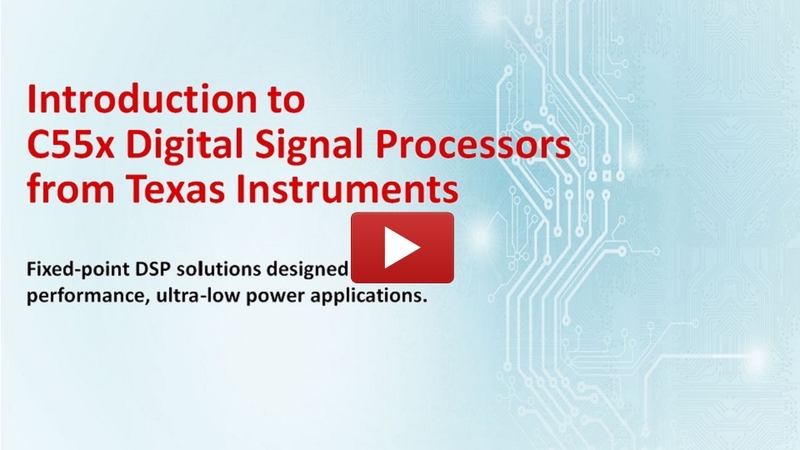 This module provides an introduction to the C55x family of DSPs from Texas Instruments. It compares the features and compatibility of devices across the C55x product family, including the C5545, C5535, C5515, C5517, and C5505. It also provides an overview of the C55x functional architecture, software support, and development platforms.